You may remember a few months ago that little J received Weebles Wobbily Farm Mill and Barn to review. He absolutely loves it and plays with almost every day. At the time he didn't really like Peppa Pig but I had noticed they had a Peppa Pig range of Weebles too. I kept my eye on them and was hoping that I could expand his playset with the Peppa pig range for his birthday. Luckily little J did start to watch Peppa Pig so I jumped at the chance to buy him the Peppa Pig Wind and Wobble Playhouse and Rockin' Rocket. Again he loves thems and plays with them all together. Recently he was so excited when we received the Peppa Pig Weebles Pull-Along Wobbily Train, it's a perfect addition to his collection. The Peppa Pig Weebles Pull-Along Wobbily Train has detachable carriages and comes with a Peppa figure with a heart on her dress. The train engine carriage is at the front and there is room for a driver. Little J always puts Peppa in the front even though he has other figures he could make the driver. The other two carriages can be removed if needed or you can keep them connected and then there is room for two more figures. The train can be pushed or pulled along the floor and when it moves it wobbles from side to side. Little J loves the train as he is in the phase of pushing cars across our wooden floor. He is fascinated with wheels at the moment too so is often found with his head on the floor looking under the train or cars trying to work out how they work. Colourful and Chunky. No flimsy plastic bits that will fall off after a few hours play. Lovely addition to our collection so far. Nothing really. Little J loves it. We are not the type of parents that believe that blue is for boys and pink is for girls, in fact we are the complete opposite. Even though we have two little monkeys you will find lots of pink toys in our home. We have a pink pram that little J takes his doll for a walk in, a pink picnic basket and a pink talking teapot. When we were asked to review the new range of Dora goodies from Fisher Price I obviously said yes because little J is a huge fan. When we opened the box, three of the items instantly stood out and I knew little J would be really excited about them. The two dolls and the smartphone. When the Summer months arrive I am always on the lookout for gifts which I can give to family and friends as we have quite a few birthdays. I recently found Biscuiteers. Biscuiteers offer a huge range of biscuits to suit all occasions. Whether its a birthday or new baby they have everything you could want. I did wander over to the chocolates and cake sections too and the bespoke cakes look absolutely amazing. If I have made your mouth water with all the talk about biscuits and cakes then keep reading. 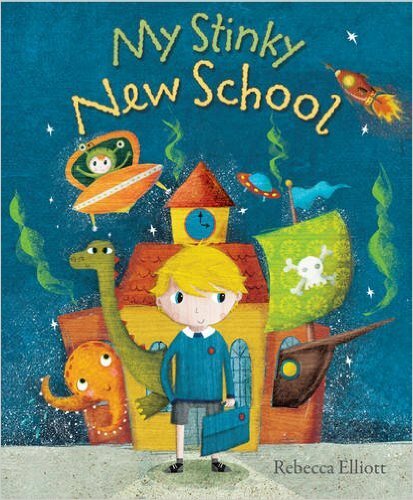 To get you all in the mood for Summer I have a very delicious giveaway. Biscuiteers are offering one of my readers the chance to win an Ice Lollies Big Biscuit Card. You may have noticed two badges on my sidebar that popped up over the weekend. I am so excited to tell you that this Summer Dora and Friends Karaoke Booth is visiting Smyths Toy Superstores and Sky Retail Stands. 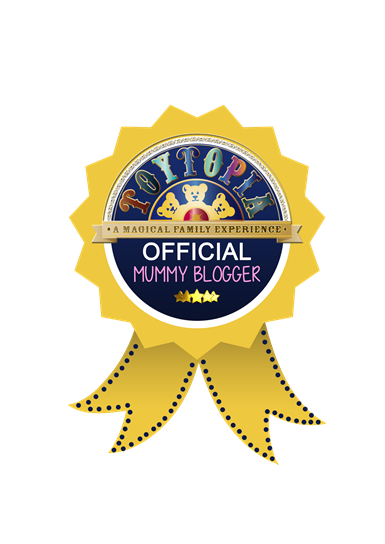 I am so excited to announce that I am an Official Mummy Blogger for Toytopia. It's obvious from our blog that we love toys here so it will be so much fun to visit a Toy Exhibition. I have never attended anything like this before so I have no idea what to expect but it sounds good. Daddy and big J went to a game event last year which is very similar and they still talk about that now. A new Peppa Pig live stage show, PEPPA PIG’S SURPRISE, will tour the UK & Ireland from autumn 2015 with dates currently being booked for 2016. Produced by leading children’s theatre team Fiery Light, in partnership with licensor Entertainment One, this brand new show marks the seventh consecutive year of Peppa Pig live theatre tours (first tour in 2009) and the fourth Peppa Pig stage production in total. PEPPA PIG’S SURPRISE will tour for over fifteen months throughout the UK and into Ireland and will include a sixth consecutive Peppa Pig Christmas West End run (details tba). The show will have its world premiere at the Orchard Theatre in Dartford from Friday 23 October. We recently received Ravensburger Statue Of Liberty 3D Puzzle and we couldn't wait to complete it. This is our third 3D puzzle from the range and probably my favourite so far. I say so far because we are planning to collect them all because not only are they fun to complete but they look amazing and now take pride of place in my living room. The Statue Of Liberty 3D Puzzle only has 108 pieces so over 100 less than we were used to. I thought the actual statue would be a puzzle but she is a figure, the puzzle makes up the base. We love voucher sites and we have folders on our phones and iPads dedicated to voucher and moneysaving apps. They are really handy to check before you go shopping, everyone loves a freebie. Most people have heard of the most popular apps such as O2 priority, Quidco, Topcashback, but how many of you know about the Latestfreestuff app? I had a little blip last week and didn't post my Project 365 - Oops. Anywhere here are some photos of what we have been getting up to the last few weeks. I was so lucky this week to be able to see little J take part in a special nursery activity when Dylan's Reptile Time came to visit. It's so nice that little J goes to the nursery that I work in, every day is like 'bring a child to work day' I love watching him play and chat to the other children and seeing him take part in this activity made me smile. Over the years we have had similar visits to the nursery but Dylan's Reptile time is by far my favourite. We placed all the chairs into a semi circle, the children all washed their hands and then they sat down ready to see all the reptiles. Dylan introduced himself and then showed the children the plastic boxes behind him. Each box had a creature inside. I was actually looking forward to this even though I am not the biggest fan of things that crawl. Although little J is a toddler this post isn't about him as he hasn't hit the terrible two's yet although I am waiting for the day that my little cheeky monkey turns into a little monster. No, this is a post about another child that I just so happened to see outside a supermarket recently. Unless you have been on holiday to another planet you will know that Minions have took over this summer. Whether its on yoghurt's, cheese or cereal, Minions are everywhere. Big J went to see the Minions movie last weekend and loved it. I was a little gutted as I wanted to see it too but he went with his friends. Big J was excited when we were sent the Ravensburger 3D Minions Mayhem puzzle. We have done this type of puzzle before and it was lots of fun. My regular readers will know that I recently had to buy a new trampoline. Our old trampoline was years old and had seen better days. I did ask some companies over on twitter for some advice on what trampolines were best to cover the age difference between my two monkeys. I wanted a trampoline suitable for both little and big J to play on separately but also together too. You wouldn't believe how many different trampolines there are nowadays, they come in all different shapes and sizes. I got some amazing advice and I was able to put it all together to choose the correct trampoline for our needs. I have also since found Jumpster which is an amazing website designed to tell parents everything they need to know about trampolines.